Status: Common regular spring and fall migrant west and central, rare casual east. Common regular breeder west, uncommon central, rare casual east. Documentation: Specimen: UNSM ZM6247, 24 May 1900 Monroe Canyon, Sioux Co.
Taxonomy: Of the six subspecies recognized (Gill and Donsker 2017), only one occurs as far north as Nebraska east of the Rocky Mountains, nuttallii of southwest Canada, west and west-central USA and northern Mexico. Nebraska birds are nuttallii. Arrival is in early May, although there are earlier dates of two recorded in Dundy Co 8 Apr 2017, 12 Apr 2011 Lincoln Co, 12 Apr (year not given) in the Keith Co area (Brown and Brown 2001), and 18 Apr Keith Co (Johnsgard 1990). The presence of this species in the western Loup drainage in summer, especially Thomas Co, suggests migrants should occur virtually throughout the west and central, although reports are few for this nocturnal species. The only records from the east are two specimens, HMM 26993 collected at Bladen, Webster Co 26 Apr 1951 and a male collected 2 May 1901 at Kearney, Buffalo Co (Swenk, Notes Before 1925); one was calling at Spring Creek Prairie, Lancaster Co, 21 May 2007. High counts: 12 at Red Willow Reservoir, Frontier Co 6 Jun 2006 and 6 at Ash Hollow SHP, Garden Co 17 May 1995. Summer: Nebraska is at the eastern edge of the species’ breeding range, where it occupies areas of pines or brushy woodlands associated with rocky terrain. Such habitat occurs primarily in the northern Panhandle (Rosche 1982), but extends eastward along the Niobrara River Valley (Brogie and Mossman 1983; Mossman and Brogie 1983), the North Platte River Valley (Johnsgard 1990; Rosche 1994), and occurs in the Loess Canyons of Lincoln Co (Thomas J. Walker, pers. comm. ), and, in the southwest, scarps above Frenchman Creek in Chase, Hayes, and Hitchcock Cos. Fire may preclude poorwills from using ponderosa pine habitat; none have been present through Jun 2016 after an extensive 2012 fire in the Niobrara Valley Preserve (Clem Klaphake, personal communication). Various authors (Johnsgard 1980, Haecker et al 1945) have indicated that breeding may occur further to the east than outlined above. There are several summer reports for Knox and Holt Cos, suggesting that breeding may occur throughout the Niobrara River Valley; a few were found May 2008 in Gregory Co, South Dakota, north of Atkinson, Holt Co, Nebraska, in “rugged Missouri River bluffs on the west side of Lake Francis Case; this habitat is “open prairie with scattered thickets and cedars, and represents a habitat type that may be found in Knox and Boyd Cos along the Missouri or Niobrara Rivers” (William F. Huser, pers. comm.). Singles were in Brown and Keya Paha Cos 19 Jun 2012, up to three were heard at Bohemia Prairie WMA, Knox Co 7-9 Jul 2008, and five were near Lynch, Boyd Co, 2 Jul 2015. Common Poorwill occupies similar mixed grassland-coniferous habitat which has been created at NNF Bessey, Thomas Co (Bray 1994; Smith 1957; Ford 1959). Bray (1994) considered it a “common summer resident and nester” there, although it was not reported there until 1956. Twelve were counted there 28 Aug 1999. There was only a single Lincoln Co summer report, 6 Jun 1954, until Thomas J. Walker began systematic nocturnal surveys of the Loess Canyons in southeast Lincoln Co. 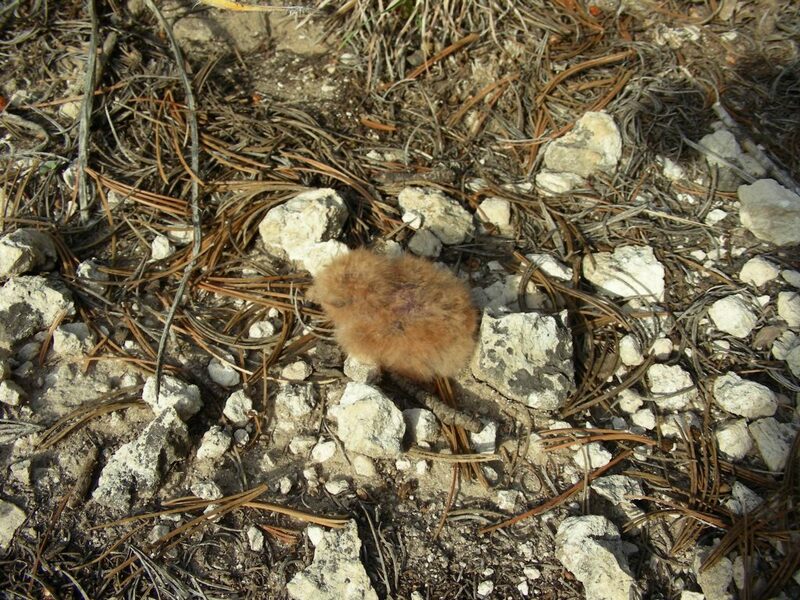 Following discovery of a road-killed bird 22 Jun 2004, Walker has found birds in summer of each year since, including “dozens” on the dirt canyon roads there 16 Jun 2007. Eleven stops on a BBS route there 2.30-5.30 am 28 Jun 2010 yielded a count of 11 birds. The distribution map for Kansas (Thompson et al 2011; Busby and Zimmerman 2001) suggests that at least occasional nesting may occur in Nebraska south of the Platte River, especially in rocky areas in native grasslands, such as Sandstone Prairies of southern Jefferson Co, and east perhaps to Gage Co. Thompson et al (2011) suggested this species may be more common in the Flint Hills of eastern Kansas than in western Kansas. Immediately north of the Flint Hills in Nebraska there are in fact two nesting records. A successful nest was observed in Lancaster Co in 1976 (Cortelyou 1977), and another, with eggs, was found and observed 27 May-4 Jun 1963 near Powell, Jefferson Co (Hoge 1964). At least one calling bird was at Twin Oaks WMA, Johnson Co 5-7 Jun 1982 (Cortelyou 1982), and at Rock Glen WMA, southeast Jefferson Co, 1-3 birds were found 7-24 May 2012. A nest with two eggs in Dawes Co as late as 13 Aug was thought to be a second nesting (Mollhoff 2001). High counts: 12 in Sowbelly Canyon 13 Jun 1998, 6 on Old Stage Road, Scotts Bluff Co 15 Jul 2013, and 5-7 at Chadron SP, Dawes Co 3 Jun 2005. Departure is difficult to determine as these birds usually stop calling in Jul. While most probably leave in Sep, there are later records, mainly road-killed specimens in early Oct, and it has been found in the Keith Co area through mid-Oct (Brown and Brown 2001). Late dates above include a specimen captured alive near Valparaiso, Lancaster Co, banded, photographed, and released in Lincoln 7 Oct 1974 (Cortelyou 1977). Later dates are of one south of Gering, Scotts Bluff Co 11 Oct 1999, one reported from Crescent Lake NWR, Garden Co 20 Oct 1996, one studied closely in snow near Stromsburg, Polk Co 23 Oct 2009 (Brogie 2009), and another extremely late record of a road-killed specimen in Lancaster Co 1 Nov 1970 that had been dead several days and is now UNSM ZM12946 (Cink and Fiala 1971). Easterly (and late- see above) dates were 20 Sep 1930, found dead in Adams Co (Jorgensen 2012), 7 Oct 1974 Lancaster Co (specimen discussed above), one in snow in Polk Co 23 Oct 2009, and one road-killed in Lancaster Co 1 Nov 1970. Photograph (top) of a Common Poorwill on a nest in West Ash Canyon, Dawes County 14 Aug 1999 by Wayne Mollhoff. Cink, C.L., and K.L. Fiala. 1971. First specimen of Poor-Will from Lancaster County; A summary of Poor-Will migration. NBR 39: 70-71. Cortelyou, R.G. 1977. Poor-wills in Lancaster and Saunders Counties. NBR 45: 42-44. Hoge, G.L. 1964. Poorwills near Powell. NBR 32: 14. Johnsgard, P.A. 1990. Additional observations of the birds of the Lake McConaughy region. NBR 58: 52-54. Smith, C.E. 1957. Thomas County. NBR 25: 27.